Over the past 5 years, ICAAD has advanced data-driven justice for gender based violence. We’ve also helped collect data on the efficacy of legal mechanisms, healthcare, and access to basic services like water and sanitation. More recently, our tools and methodologies have been increasingly adopted to advance the work of local and regional institutions, such as Nazdeek in India, and the Fiji Women’s Rights Movement (FWRM) in Fiji and the regional Pacific Judicial Strengthening Initiative (PJSI), an initiative of the Federal Courts of Australia. 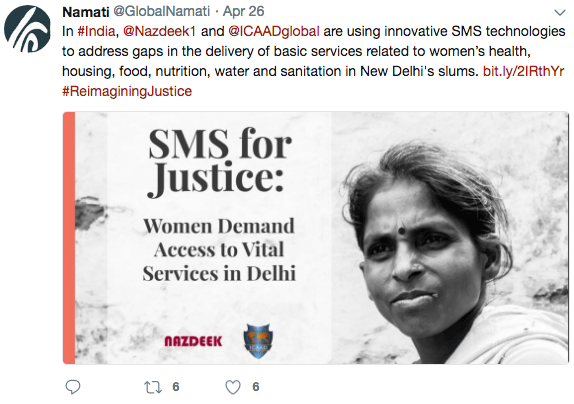 In the recently released report stemming from Nazdeek and ICAAD’s joint data collection initiative SMS for Justice, grievance mechanisms were tested by community paralegals to resolve complaints coming through the platform. The report, “Women Lead the Way: Monitoring and improving government services and facilities in Delhi,” showed that some mechanisms worked well for resolving complaints, such as the Delhi Water Board line, which responded quickly to the need for water. Others which did not work as well highlighted the need for better redressal mechanisms, gaps in services, and the need to continue to refine processes to ensure better outcomes. Nazdeek and ICAAD’s work was recently recognized at the Reimagining Justice: Realizing Human Rights through Legal Empowerment conference held by the Robert L. Bernstein Institute for Human Rights at NYU, where Nazdeek co-founder Jayshree Satpute presented on the SMS for Justice and End MM Now initiatives in Delhi and Assam. 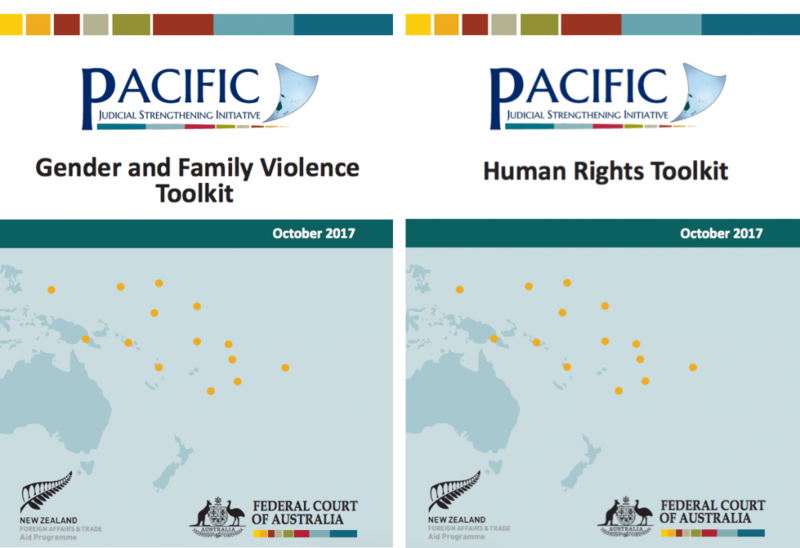 In the Pacific region, PJSI, who works on delivery of judicial trainings to judges in 20 countries, suggested using ICAAD’s data as a baseline for further assessments in its Gender and Family Violence Toolkit. In its Human Rights Toolkit, PJSI states that ICAAD’s “study shows how values that undermine women’s right to equal protection of the law can also be ingrained in judicial thinking, suggesting that this might be an area where specific judicial training and guidance could be helpful. In the coming months, we’ll be launching the first ever Sentencing Handbook on gender based violence for the Pacific Region. 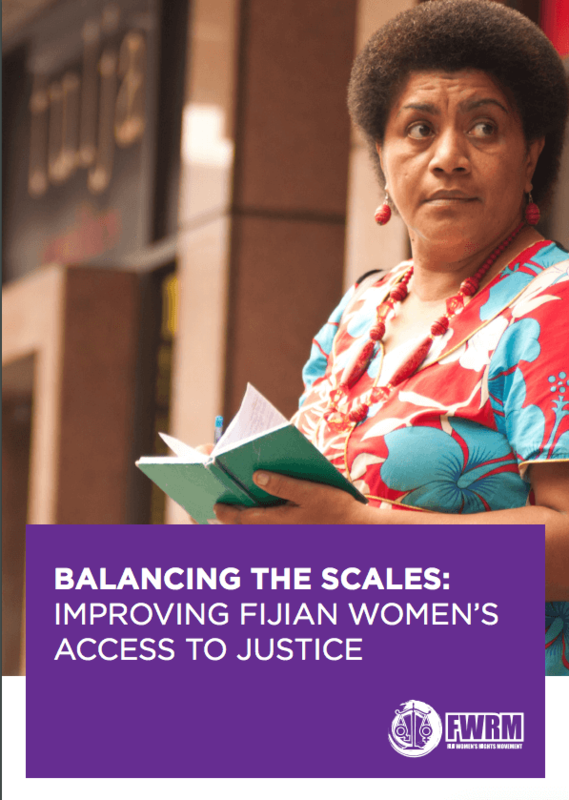 This Handbook will inform the analysis that underpins the TrackGBV database, where lawyers will analyze 5,000 cases and provide data from across 12 countries in the Pacific to promote judicial transparency and accountability. None of this happens without your continued support!